At TheDriveGroup we think globally but act locally. TheDriveProject is all about collaborating with the local community and developing long-term partnerships with meaning, purpose and vision. 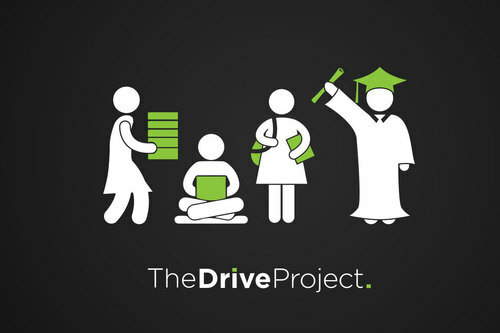 TheDriveProject is a non-for-profit platform designed to help the Graduate IT Community. Our aim is to connect IT Juniors and Graduates with companies and jobs that they would not normally have access to or be able to find on their own. At the same time, our Clients also achieve free access to a level of employee they may normally struggle to find. Why did we create TheDriveProject? Recruitment Companies tend to turn down Junior or Graduate assignments due to the commission being comparatively low compared to high salary roles. Unfortunately, this means that companies are left with very limited ways to recruit Junior candidates, and candidates are left struggling to find ways to access and secure their first job in IT. Some candidates are even giving up on finding their first IT role and moving on to work in other industries because they are constantly been turned away by Recruitment Companies who tell them they do not yet have enough experience to apply for a job. Candidates are sometimes willing to work for free just to get some experience under their belt, but again Recruitment Companies will turn them away because they tend not to see value in placing people for free. TheDriveProject was launched due to this and also to defeat the Catch22 situation where Graduates are told they need experience before they can get a job, but they can't get that experience without a job. We partner with General Assembly and several Colleges and Universities in Australia including The University of Sydney and we all share an aligned goal with the ultimate aim to simply connect the Graduate Community to more opportunities than ever. As it is a non-for-profit platform, all applications go directly to the company advertising the role. The company will then arrange interviews directly with suitable applicants and have the opportunity to hire with no recruitment costs. Now here is the cherry on top: If we speak to an active candidate in the market who we believe is suitable for your role, we will even refer them to your advertisement on the TheDriveProject. We have announced and opened up this platform to all of our Clients and all other companies who wish to advertise a Junior, Graduate or Work Experience position for free. Company advertisements can also be branded or anonymous. If you are a student or graduate then please feel free to browse and apply to any of the open positions advertised below. Click HERE to find out how to ENGAGE with us and improve your employability.